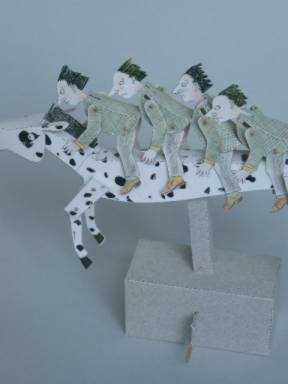 The Horse belongs to the 7 models of Spooner's "Moving Animals". With each rotation of the crank the cam pushes a push rod with the horse upwards. The legs of the horse are kicking backwards and forwards. The four riding laboratory technicians are moving too.